Being the first at anything is both exciting and challenging. 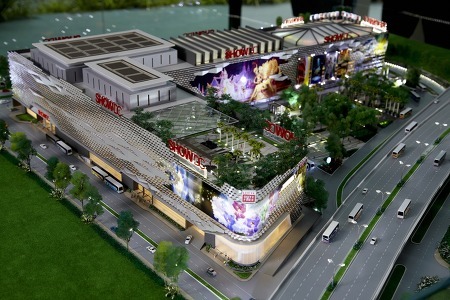 SHOW DC, Thailand’s first retail and entertainment mega complex, is no exception. The company has created an innovative concept, combining shopping, entertainment and tourism in one venue, the first of its kind in Asia. As the initial construction of the facilities was nearing completion, SHOW DC was looking for guidance in establishing the operating and managerial processes that would be required to run such a multi-faceted, complex operation. To further complicate matters, SHOW DC in Bangkok was only the first of twelve complexes that company planned to build. The processes that were established in the initial project would be applied to future operations. Chayaditt Hutanuwatra, Chair of SHOW DC Corp Ltd, turned to Effective ManagersTM for help. Having had prior knowledge of Dwight Mihalicz, president, Effective ManagersTM, Hutanuwatra believed that the Effective ManagersTM approach to establishing productive and efficient management processes would result in the creation of a high performance organization. Hutanuwatra recognized that putting the proper processes in place with the first project would make the roll out of eleven additional complexes run smoothly and effectively. The challenge was significant. SHOW DC was creating a shopping and entertainment complex that involved many players and had a lot of moving parts. There was a retail component that required the partnership of large anchor tenants, an entertainment component that required the involvement of large entertainment companies, transportation and tourism needs that resulted in the formation of several joint ventures, along with the needs for general retail, food and cultural attractions. To put it in perspective, SHOW DC covers 180,000 square metres, or 1.6 million square feet, of retail and entertainment space – that’s roughly equivalent to 33 football fields. And in order to build the tourism component of the facility that was so vital to the success of the mall, SHOW DC had to put in place the proper transportation infrastructure. That meant that the organization had to build and manage a fleet of 300 buses, shuttling visitors to and from the airport, hotels and other tourist destinations. In addition, because the Bangkok SHOW DC was only the first of many, the company needed to balance the operational needs of each specific mall with the talent and operational needs required at a corporate head office to ensure that the growth and development of the future malls continued. When it came to organization design, there were a few key questions to consider: How many layers of management would be needed? How do you ensure the right alignment of functions? How do you effectively understand and integrate the contributions of joint venture partners? It was a complex challenge, because SHOW DC was creating the organization design for the mall itself, as well as for the future corporate office. While it was critical to ensure that the proper talent was being hired and trained for the mall, SHOW DC executive also had to keep on eye to the future, knowing that some of the talented staff would be pulled out to manage the development of future malls at a corporate level. They would eventually need to determine which employees would stay with the initial project and which would move to corporate office as the company focused on expansion, requiring even more careful human resource planning. Effective ManagersTM worked with SHOW DC to envision what the company would look three years down the road, helping them to create a management structure and system that would ensure the future growth of the business. Defining roles, creating templates for the roles, and meeting the human resource needs was the next logical piece of the puzzle. In order to ensure that the right people were brought on board at the right time, and that this process could be repeated as the company expanded, Effective ManagersTM worked with SHOW DC to create clear, detailed role description templates and to leverage relationships with local human resource companies to ensure appropriate compensation. The company had unique and diverse HR needs – everything from maintenance to guest services to merchandising. And as a tourist and cultural entertainment destination, exceptionally well trained service-driven staff were absolutely critical. SHOW DC required staff who were knowledgeable about the services available, knew different languages, were actively engaging with customers, and who could deliver a high quality guest experience. Ensuring that all staff were clear on their roles and responsibilities would be key to the success of the entire project. Merchandising was also a critical component in the development of the mall’s infrastructure. Given the varied merchants in the mall with products ranging from clothing to cultural items, it was important to ensure that each tenant was offering merchandise that aligned with that of the other merchants, as well as with the overall vision of the mall. Hutanuwatra believed that in order for the project to succeed, the corporate culture was going to play a very important role. He wanted to ensure that the executive team would continue to work together and stay engaged as the organization expanded and the staff grew. Laying the groundwork early on was key, so Effective ManagersTM ran extensive training for the executive team, helping them to be more effective themselves while creating a culture where managers are aligned and working together to achieve the strategic objectives of SHOW DC. With the training complete, and with buy-in from the executive team, the culture of high performance will become embedded in the organization as SHOW DC rolls out the next eleven retail and entertainment complexes. This is very important if the company is to maintain their corporate brand and identity across all twelve venues. 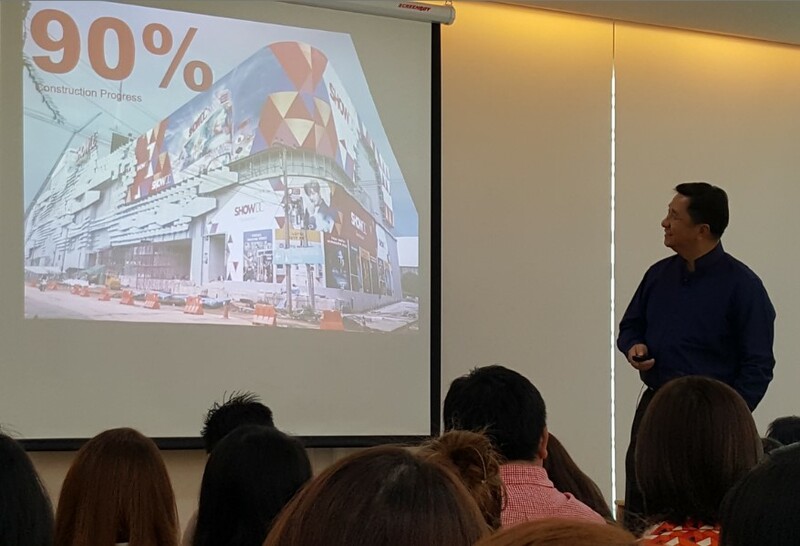 With SHOW DC Bangkok scheduled to open shortly, the company is confident in the organizational design and management processes they have developed with Effective ManagersTM. Early next year, Effective ManagersTM will work with SHOW DC’s corporate and mall teams to implement the Effective ManagersTM methodology throughout all layers of the organization, ensuring that effective management becomes embedded in the culture of the organization. SHOW DC had the advantage of a green-field implementation. Hutanuwatra identified the importance of effective operational systems early in the process and was able to bring Effective ManagersTM in to train staff in effective management techniques right from the start. But it’s never too late. Even established organizations can redirect and retrain staff with the capability to implement effective management techniques to help assure the organization’s success. Get the White Paper – The Effective Point of Accountability® – in a downloadable PDF for only $1.95. Or email me, mentioning this article, and I will send you a free copy! To learn more about the Effective ManagersTM approach, watch this free recorded webinar on our YouTube channel. We address accountability in this Webinar PLUS the key steps you can take improve performance in your team and in your organization. This Webinar will be of interest to all managers of managers in organizations, and will be of special interest to CEOs and Heads of HR.